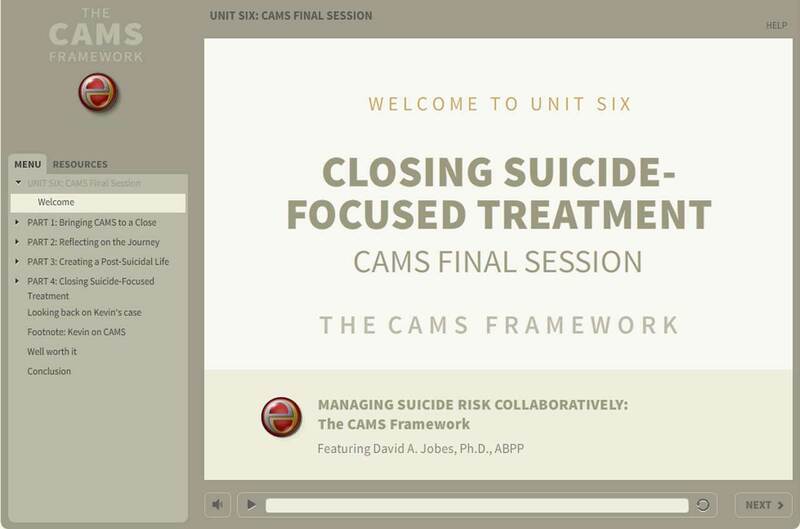 The final session of CAMS is the focus of Unit Six. Kevin has met the criteria for ending suicide-focused care in CAMS. But what comes next? Here Dr. Jobes and Kevin reflect on their journey in CAMS, progress made, challenges ahead and how to best address them. 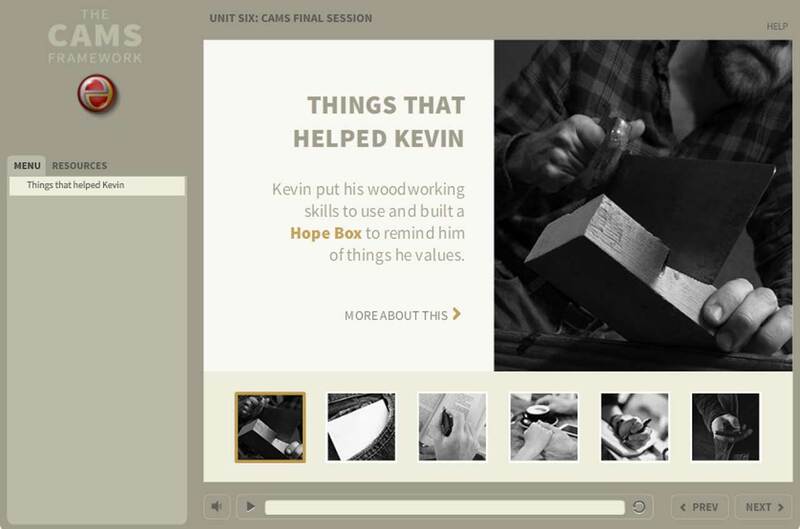 Together, they consider what Kevin needs to do to live, but perhaps most important, how he can create a life for himself that he finds worth living. 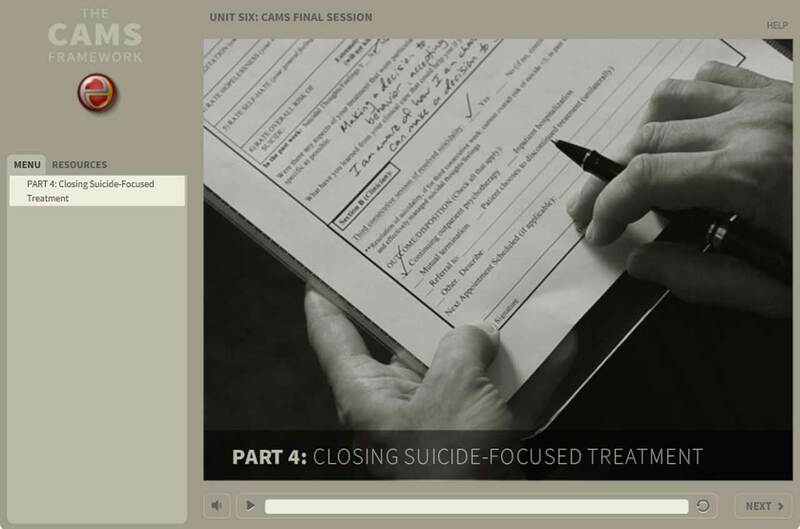 Here you’ll learn about how and when to bring CAMS suicide-focused treatment to a close, and outcome and disposition for your patient that may have saved their life. Knowing when and how to close suicide-focused treatment with your patient is critical to successful outcomes. The final unit of this training reviews markers that signal your patent can transition out of the CAMS suicide-focused framework. Here you'll reflect on the journey with Dr. Jobes and Kevin through 12 weeks of CAMS care. Consider together with them how Kevin can best create a post-suicidal life, one with that he finds worth living. And you'll listen to what Kevin has to say to his best friend John about his time in CAMS care and how he's feeling post-treatment. Finally Dr. Jobes wraps up this unit and this training by reflecting on why he finds working with suicidal people well worth the effort.